The Starting Gate series gives students reading substantially below their expected level an opportunity to experience success in reading. 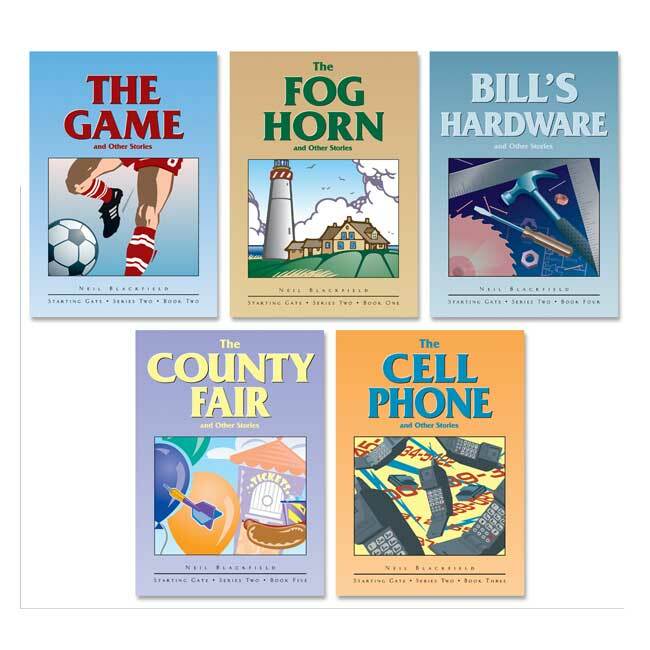 Each of the five books in this set contains four short stories on contemporary, relevant topics designed to appeal to young people and adults. Starting Gate Set 2, like Set 1, starts with the list of 101 basic sight words and adds a handful of new words to each story. By the time all five books have been completed, a new vocabulary of 301 words will have been introduced. 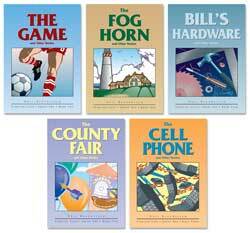 Each book includes four short stories based on topics that appeal to young people and adults. Books are to be read in sequence. Reading level builds from grades 1 - 4.